Mahany, a former New Orleans cop who became a prosecutor and took on the Uber class-action lawsuit. Mahany represents drivers who allege they are being ripped off by Uber Technologies, Inc., – a multinational online transportation company. 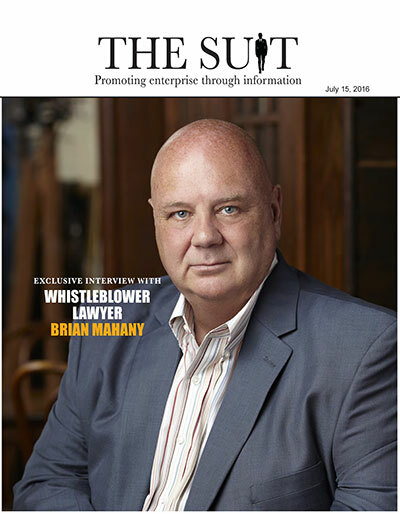 His firm currently holds the record for the largest whistleblower settlement in U.S. history. Mahany and his team successfully garnered a ruling for $16.65 billion against Bank of America under the False Claims Act in Dec. 2014. To this date, it is the largest settlement slapped against the banking industry. The case involved whistleblowing reports by three individuals – including Shareef Abdou, the former B of A operations vice president represented by Mahany – and a small New Jersey mortgage firm that Countrywide Financial Corp., a subsidiary of B of A, used inflated values of mortgage properties in transactions with clients and sold defective loans to investors. Mahany represents drivers who allege they are being ripped off by Uber Technologies, Inc., – a multinational online transportation company – those in the know in the legal industry made note.